A “security deposit” is any payment of money, including the last month’s rent paid in advance, that the tenant pays to the landlord to protect the landlord from non-payment of rent, breach of the lease, or damage to the rented unit, common areas, major appliances or furnishings. The most the landlord may charge as a security deposit for each unit is two month’s rent. If the landlord charges more than this, the tenant may get back up to three times the extra amount charged, plus reasonable attorney’s fees. The tenant’s lawsuit to get back this amount may be brought at any time during the rental period or within two years after the end of the rental period. The landlord must give the tenant a written receipt for the security deposit as specified in Maryland Real Property § 8-203.1. The landlord is liable for $25 if he or she fails to do so. The receipt may be included in the written lease. Tell the tenant of his or her right to have the unit inspected by the landlord, with the tenant present, in order to make a list of damages that exist at the start of the tenancy. The tenant must request this inspection by certified mail within 15 days of the tenant’s occupancy. Tell the tenant of his or her right to be present when the landlord inspects the unit at the end of the rental period in order to determine if any damage was done to the rental unit during the rental period. The tenant must request this inspection by certified mail at least 15 days before the day the tenant intends to move. In the tenant’s request, the tenant must tell the landlord of the tenant’s intention to move, the tenant’s intended date of moving and the tenant’s new address. The landlord must notify the tenant in writing of the date of the inspection and that the landlord must conduct the inspection within 5 days before or after the tenant’s intended move date. The landlord must give the tenant a written list of the charges and actual costs against the security deposit the landlord is claiming, within 45 days after the end of the rental period. The landlord must send this written list to the tenant by first-class mail to the tenant’s last known address. The landlord must return to the tenant any unused portion of the security deposit within 45 days after the end of the rental period. The landlord must send any unused portion by first-class mail to the tenant’s last known address. Finally, the receipt must contain a statement that the landlord’s failure to comply with the security deposit law may result in the landlord being liable to the tenant for a penalty of up to 3 times the security deposit kept, plus reasonable attorney’s fees. The landlord must keep a copy of the receipt for 2 years after the end of the rental period, eviction or abandonment of the property. The landlord must keep all security deposits in federally insured financial institutions, as defined in section 1-101 of the Maryland Financial Institutions Article, which do business in Maryland. The landlord must deposit each security deposit in that account within 30 days after receiving it. If the landlord owes any person money, that person cannot use the security deposit to be repaid. The landlord must, within 45 days after the end of the rental period, return to the tenant the security deposit minus any amount which the landlord may rightfully keep. Simple interest of the greater of the US Treasury yield curve rate of 1.5% per year must be paid on security deposits of $50 or more and must accrue each month from the day the security deposit was given, after the security deposit has been held for 6 months. A security deposit calculator is available at the website of the Department of Housing & Community Development. If the landlord, without a reasonable basis, fails to return any part of the security deposit within 45 days after the end of the rental period, the landlord may be liable to the tenant for three times the withheld amount, plus reasonable attorney’s fees. The landlord may keep any portion of the security deposit for unpaid rent, damage due to breach of lease or damage by the tenant or the tenant’s family, agents, employees, guests or invitees in excess of ordinary wear and tear to the leased premises, common areas, major appliances, and furnishings owned by the landlord. If the tenant notifies the landlord by certified mail that he or she intends to move out, the date of moving and his or her new address, he or she will have the right to be present when the landlord inspects the premises to determine if any damage was done. The notice must be mailed at least 15 days prior to the date of moving. The landlord must then notify the tenant by certified mail of the time and date of inspection, which must be within 5 days before or 5 days after the tenant’s move. If the landlord fails to notify the tenant in writing at the time of payment of the security deposit of his or her rights relating to the inspection, then the landlord loses his or her right to withhold any part of the security deposit for damages, including unpaid rent. If the landlord attempts to use the deposit to cover costs for breach of the leased agreement, he or she can only claim the actual amount of money lost due to the tenant’s breach. If the landlord re-rents the property before the end of the tenant’s term, his or her actual damages are reduced by the amount he or she gains from the new agreement. The landlord can only charge for physical damage beyond ordinary wear and tear. This is a common sense rule. For example, if a rug is worn through property usage, this is ordinary wear and tear. If a rug is stained with ink, this is not ordinary wear and tear. At the end of the rental period, a tenant should carefully clean the rental unit, including all appliances. The tenant should have one or two friends, who would be willing to go to court with the tenant, to carefully inspect the rental unit, room by room, taking notes as to the condition of the rental unit. The tenant should also take photographs of the condition of the each room of the rental unit when he or she leaves the rental unit. If the landlord withholds any part of the security deposit, he or she must send to the tenant by first class mail to the tenant’s last known address, a written list of the damages the landlord claims, together with a statement of costs the landlord has actually spent to make the repairs. If the landlord fails to do this within 45 days after end of the lease, he or she loses the right to keep any part of the security deposit for damages. Within 45 days of receipt of the notice, the landlord must then send, by first-class mail, a list of damages deducted from the security deposit and a statement of costs actually incurred and must return to the tenant the security deposit with simple interest of the greater of the US Treasury yield curve rate or 1.5% per year, minus damages property withheld. If the landlord fails to send the list of damages, the landlord loses the right to keep any part of the security deposit for damages. The provision of this law cannot be waived in any lease. If your landlord has violated the security deposit law, you may sue him/her in district court. Your lawsuit must be filed no later than two years from the end of your tenancy. If you file suit against your landlord and hire an attorney to represent you, you can ask the court for attorney’s fees. You may want to talk to an attorney about any problem concerning your security deposit. 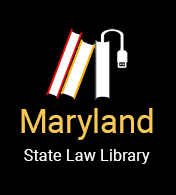 You may be eligible for free legal services or advice from Maryland Legal Aid or a volunteer lawyer program. You can get the forms you need to file a small claims lawsuit against the landlord at your local district court. The forms are simple to use, and the court clerk can answer your questions about filling them out. The district court also has free brochures on how to file a small claims lawsuit and tenant/landlord law that include information on security deposits. You can obtain these brochures from the Internet or from a court clerk. There is a small fee to file a small claims lawsuit. You also must have someone serve the papers on your landlord, or for an additional fee, you or the court can mail the papers by certified mail, restricted delivery, return receipt requested. You may not have to pay these costs if you are poor. Ask the district court clerk for the forms to ask for a waiver of these costs. The protection that you have under Maryland’s security deposit law cannot be taken away from you or changed by your lease. You may also file a complaint with the Consumer Protection Division of the Maryland Attorney General’s Office at www.oag.state.md.us/consumer. A tenant may use a surety bond to pay the full amount or a partial amount of his or her security deposit. A landlord cannot require that a tenant purchase a surety bond. The amount of the bond (or if both a bond and another form of payment is used to pay the security deposit) may not exceed two month’s rent per unit. At least 10 days before a landlord makes a claim against the bond, the landlord must notify the tenant by first-class mail. A tenant may choose to fight the claim by sending a written response to the surety within 10 days after receiving the landlord's claim. the surety bond is being bought to protect the landlord against loss due to nonpayment of rent, breach of lease, or damages caused by the tenant. if the surety fails to disclose numbers 1 through 6, the surety loses the right to make any claim against the tenant under the surety bond. Baltimore Neighborhoods Inc. (BNI) Updated by www.peoples-law.org/contributors, with additional content from Maryland Legal Aid.